Living in a remote area where mains electricity just isn’t available or terribly cost prohibitive? Consider a stand alone solar off grid power system from Energy Matters! We sell the top brands at the best prices and will assist you with up to date information on any rebates or incentives that may be available to you. We’ve supplied and/or installed quality wind and solar equipment for hundreds of remote locations and off grid applications throughout Australia and beyond – at the very best prices! Contact us today via our quote form for expert, obligation-free advice. How do off grid solar power and wind energy systems work? What sorts of components are required? Is it difficult to set up? Read our brief guide to remote power. Learn more about rebates applicable to off grid wind and solar power – you can literally save thousands of dollars thanks to federal government off grid power incentives and State government incentives. Whether it’s a weekender or a full-time residence, Energy Matters has an off grid solar package to meet your remote power needs – check out our special deals! Try our Remote Area Power Supply (RAPS) system calculator to determine your stand alone solar energy system requirements and suitable components. Solar powered water bore pumps provide an ideal water delivery solution in areas where mains electricity is not easily accessed. When you’re out in the middle of nowhere, you need to have 100% confidence in your power generation system! Energy Matters only stocks the very best in solar power equipment. Read more about the quality components of our remote power systems. Don’t wish to install your own system? We have accredited off grid installers throughout Australia who can ensure your system is installed for optimum performance. Done once, done right! Frequently asked questions and answers relating to off grid solar, remote area and stand alone power systems. Energy Matters has installed more off grid systems that just about anyone else in Australia. Check out these photos of some of our more recent remote power projects. We are Australia’s leading wind and solar power equipment and installation company. Learn more about our organization and our team. Our vision and philosophy is all about a sustainable future powered by green energy and accessible to every Australian! If you have any questions about remote area solar power generation, we’re here to help – our team of renewable energy experts will provide you with free, no-obligation advice for your specific requirements. Don’t settle for second best – an off grid solar system is a substantial investment; not just of money, but your family’s comfort, safety and security. 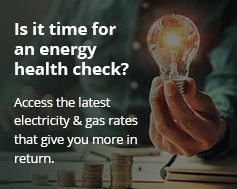 See what the competition offers and then come back to the best – Energy Matters! We take the cost and headaches out of remote power systems! Contact us today via our quote form to our friendly, knowledgeable team.